Make snack and lunch time fun, healthy and ultra portable with Boon’s new Snack Boxes: Trunk and Cargo. These friendly elephant and snail snack plates offer nicely divided compartments that keep food separate and neatly organized. An air-tight seal lid keeps all munchies fresh, and kids will love the convenient handle that allows them to travel with their favorite foods wherever they please. Boon’s Snack Boxes are perfect for busy parents too, featuring an easy to clean two-piece design that’s even top-rack dishwasher safe. Like all Boon feeding gear, these cute snack carriers are bright, colorful and BPA-free, phthalate-free and PVC-free. Make snack and lunch time fun, healthy and ultra portable with Boon's new Snack Boxes: Trunk and Cargo. 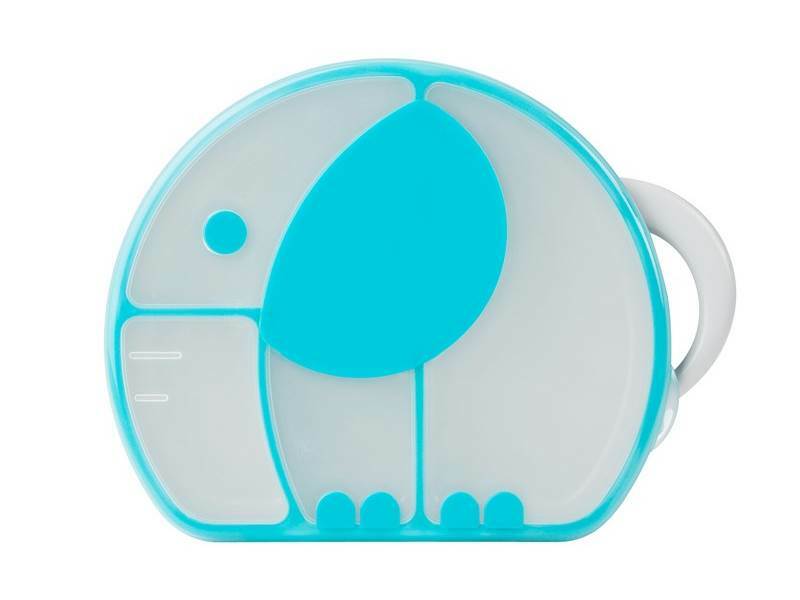 These friendly elephant and snail snack plates offer nicely divided compartments that keep food separate and neatly organized. An air-tight seal lid keeps all munchies fresh, and kids will love the convenient handle that allows them to travel with their favorite foods wherever they please. Boon's Snack Boxes are perfect for busy parents too, featuring an easy to clean two-piece design that's even top-rack dishwasher safe. Like all Boon feeding gear, these cute snack carriers are bright, colorful and BPA-free, phthalate-free and PVC-free.